Product prices and availability are accurate as of 2019-04-19 19:14:39 UTC and are subject to change. Any price and availability information displayed on http://www.amazon.com.au/ at the time of purchase will apply to the purchase of this product. This is a package of two magnificent sporks from the Swedish firm Light My Fire. 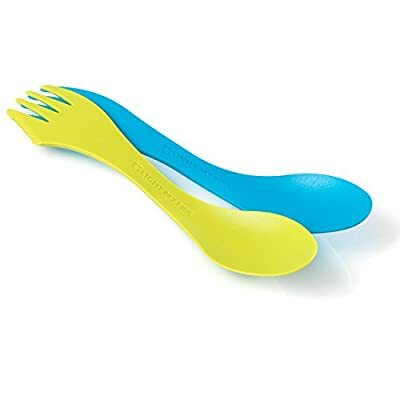 Designed for Left-handed use, the Spork Lefty is reversed from the Original design for more effective and comfortable use. They are manufactured from heat-resistant and BPA free Tritan and won't melt in hot or boiling water. They won't scratch non-stick cookware. They are extremely durable and dishwasher safe. They weigh only 10g each!